Because recruiters spend a large portion of their time reviewing resumes and assessing candidates, you would think preparing a resume would be a piece of cake. However, that’s not always the case. If you’re looking for work as a recruiter and struggling to write about yourself, read on for some specific tips and strategies on how to create a winning resume for recruiting jobs. Generally speaking, recruiter resumes are no different than those for any other industry, field, or specialty. If you need to learn more about the basic “rules” of resume writing, want to read up on common mistakes and blunders, or would like to refresh your memory concerning the specific components of a resume (the title and summary, core competencies, professional experience, and supplemental sections), feel free to review iHire’s related articles on those subjects. There’s no need to rehash all of that advice here. We can skip right to the good stuff. For HR professionals who specialize in recruitment, it’s best to keep things simple and include a straightforward title such as Recruiter, Recruiting Professional, Recruiting Manager, or Director of Recruiting. If you wish, you can be even more precise and specify the industry or career level that best fits your background: Healthcare Recruiter, IT Recruiter, or Executive Recruiter. However, you may risk pigeonholing yourself by using a title that is too exact. Versatile and results-driven hiring specialist with more than 10 years of experience devising and implementing winning recruitment strategies for the financial services, IT, and healthcare industries. Effective executive recruiter with expert ability to determine proper fit and maximize success of top-level candidates. History of driving down recruiting costs, accurately assessing staffing requirements, and devising hiring approaches that attract high-quality talent and align with organizational goals. Respected leader and valued contributor to C-level management teams. If you’re finding it difficult to construct your core competencies section and need some examples, look no further than the job postings found on iHireHR. It’s a good idea to review these ads carefully before you apply to see if you can add anything to increase your chances of being called in for an interview. Manage full life cycle recruiting process from specification through the employment offer. Lead a team of up to 4 direct reports comprised of recruiters & coordinator(s). Partner with HRBP team, hiring partners, and leaders to identify personnel needs & workforce planning as well as partner with FP&A to manage allocated budgets for headcount. Prepare candidates for interviewing with ABC Company and specific hiring managers by providing detailed information on the company, business strategy, job descriptions and expectations. Organize post-interview debrief/feedback with interview teams and candidates. Maintain records on department specific recruiting activities via detailed metrics and reporting. Ensure team is organized and efficient with daily practices including; ATS, reporting, OFCCP compliance, active and closed requisitions, new requisition guidelines, interview procedures and training, workflow processes and other team responsibilities as necessary. The structure of this critical section will differ depending upon your specific career history. In a traditional chronological resume, positions are presented in reverse-chronological order with a brief paragraph outlining day-to-day duties followed by bulleted achievements. 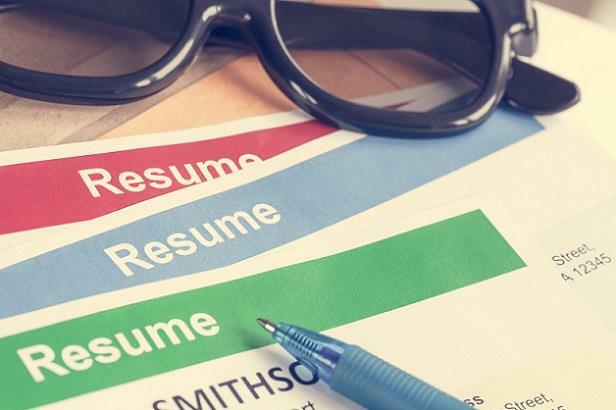 This resume format works best for individuals with steady work histories and a career target that closely aligns with their current or most recent roles. However, this organizational strategy can also be problematic for certain professionals. For example, if you have taken on numerous contract assignments, orchestrated various temporary recruiting projects, or held a number of short-term roles over the past 10 years, you may want to consider using a functional format so that you can avoid repeating the same job duties for each position. Utilizing the functional format allows you to tout all of your notable career accomplishments in a prominent area of the resume (right below your summary paragraph and key skills). This section – titled Professional Highlights, Key Achievements, Selected Accomplishments, or Value Offered, among other options – enables you to showcase your unique experience while strategically organizing your “greatest hits.” Your career history will still be listed in reverse-chronological order, but only your job title, employer name and location, and start and end years are included. Increased response rate 500% by reinventing recruitment ads, utilizing templates from neighboring region, upgrading tracking system to maximize advertising dollars, and leveraging power of the ABC Company brand. Introduced social media as recruiting tool and expanded hiring via social from 7% in 2014 to 25% in 2015. The achievements you include on your resume will separate you from the competition. Providing more details will paint a more complete picture for the reader, which will help to convince the hiring manager that you are the best candidate for the position. By taking the time to carefully craft your resume and following the suggestions listed above, you will be able to significantly increase your chances of being called in for an interview. To view resume samples created by the iHire team, visit the iHireHR Resume Services page.